Though the slaughter took place in December, evergreen corpses have now been dragged out en masse and left on sidewalks to meet undignified ends. Tossed coffee cups and wind-blown garbage make for an entirely different sort of ornamentation. Can any child truly respect a tree once they’ve seen it fallen so low? Inevitably, one wonders what if. What if all these trees were collected and made magnificent once again, magnificent in the form of MDF? Apologies to the handy types reading, but to the rest, that’s medium-density fiberboard. It is, in industry parlance, engineered wood. This is a wonderfully aspirational way of describing the lumber equivalent of a chicken nugget. Take all sorts of scraps, stick ‘em in a blender, compress, and cut. If you’ve ever bought IKEA furniture, and you all have, you know exactly what particle board is. Think of MDF as it’s slightly richer (and more dense) cousin. Getting back to trees, according to what appears to be the authority on such matters, the National Christmas Tree Association, more than 24.5 million Xmas trees met their demise in 2012. Shockingly, there’s no definitive source for the average height of these victims, but averaging Google research with anecdotal evidence suggests it’s 6.5 feet. That’s 159.25 million linear feet, an arboreal habitat that would climb 30,160 miles into space...14x higher than the International Space Station you enjoyed so much in Gravity. But you didn’t come here for that. On to MDF. Further research suggests that a 6.5’ tree weighs about 45 pounds. 24.5 million at 45 per is more than a billion pounds, but since half of that is water weight, we’re left with a 551,250,000 lb. mountain of dry wood product. The nitpickers among us will rightly point out that a portion of this is in the form of needles, and they’d be right. However, multi-density fiberboard doesn’t stick together all on its own. It needs resin, and so pine needle blood will serve as the binding glue for our MDF. How convenient. So the question is, how many square feet of medium-density fiberboard could we get by converting all those trashed trees? We’ve got more than a half-billion pounds of the stuff. 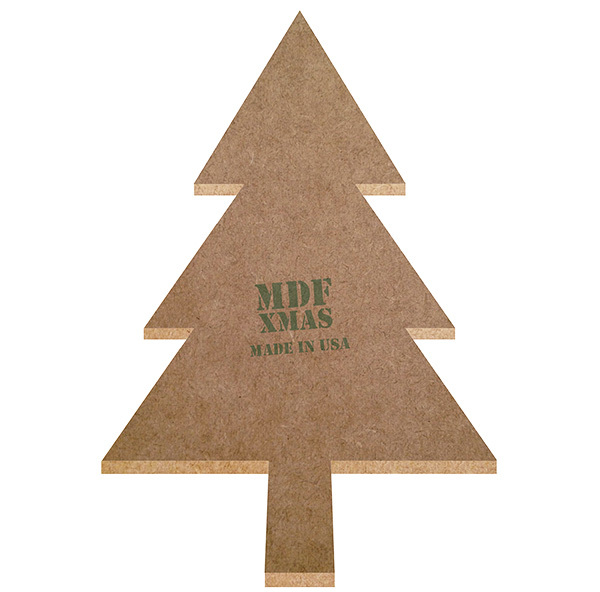 It’s just a simple matter of dividing by the 2.16 lbs per square foot that 1/2" MDF weighs in at. Mind you, even though quarter-inch would've yielded a doubly impressive number, it's sort of flimsy and not as useful for spinning out into stupidity. No, half-inch is where it's at. Anyway, 551,250,000 lbs / 2.16lbs per sq ft = 255,208,300 square feet. That's 9.15 square miles of board. Yet I'm somehow left with the sinking feeling that you're not particularly impressed. What, then, if you were to learn that it's enough board to layer the floors of 110,671 new median size American homes? (2,306 sq ft. in 2012, according to the Census Bureau). Every square foot, upstairs and down? Okay, what if you consider that five states (Vermont, Maine, Delaware, West Virginia, and Wyoming) have not a single city exceeding 100,000 souls? Now think of the following metropolises (metrpoli?) and know we could floor every single house within any one of 'em. And still I fear that this may not be enough to satisfy your greedy curiosity, even after I went to all the trouble of making the MDF Christmas tree above. So how about a wall? Everyone likes a nice wall. Let's make this one ten feet tall so we can quickly arrive at 52,800 square feet per mile. 255,208,300 square feet / 52,800 square feet per mile = 4,833 miles. Splendid! As it turns out, this is more than enough to secure our Northern border from the perils of Canadian christmas tree infiltration. 21.2% more, in fact. According to the U.S. Geological Survey (USGS), the length of the International Boundary line of the U.S.-Canadian border, excluding Alaska, is approximately 3,987 miles. And while Alaska's more desirable than many of the continental states, we can, for the purposes of the pine defense system, totally ignore it. But feel free to use the 846 leftover miles whichever way you see fit.